Hot Toys Quarter Scale Age of Ultron Iron Man! Are you excited?! I'll probably have to jump on this and the sixth scale version. 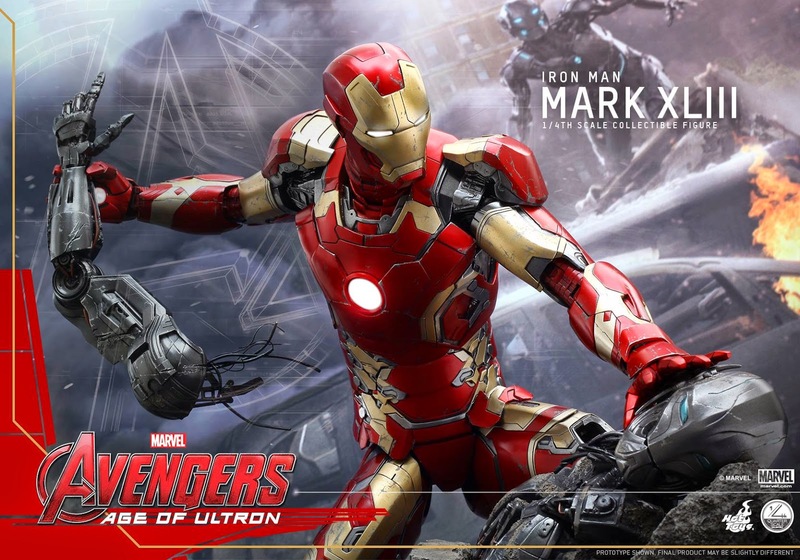 The path of Marvel’s Avengers: Age of Ultron collectibles by Hot Toys continues as the exciting blockbuster’s release date is getting closer! Since the reveal of the prototype at toy exhibition late last year, fans have already been anxiously waiting for this collectiblefigure, today we are very thrilled to officially present the first 1/4th scale Iron Man collectible figure – the Mark XLIII from Avengers:Age of Ultron!